到了這階段， 如果麵團還是太黏的話，可以再加一點麵粉。 老實說到這個時候會有一點慌張 因為看起來就是一堆黏黏，迷迷糊糊的麵粉跟水。哪像麵包啊？！ 可是不要放棄， 要有信心！如果你有一直堅持下去的話， 你就會有一個敢是剛剛好的麵團。[家人有問我：奇怪， 你不是有food processor (食物處理機) 嗎？ 為什麼還要用手揉麵？ 我想了一下， 覺得要花時間把機器找出來，沖洗才能使用， 就覺得 我洗手比較快吧！」 而且 我每次到這個步驟的時候 就覺得非常開心。 而且會多花一點力氣來揉麵團 很有疏壓的效果喔！For me, the most therapetic part of baking bread (aside from the delicious smell and the eating part) is kneading the dough. Some people hate the process (gasp!) and use a mixer, but I really enjoy kneading, so I just do it by hand. There will be some point where your dough seems shaggy, sticky and without hope. But I promise, with some patience, everything will be somehow come together in the end. 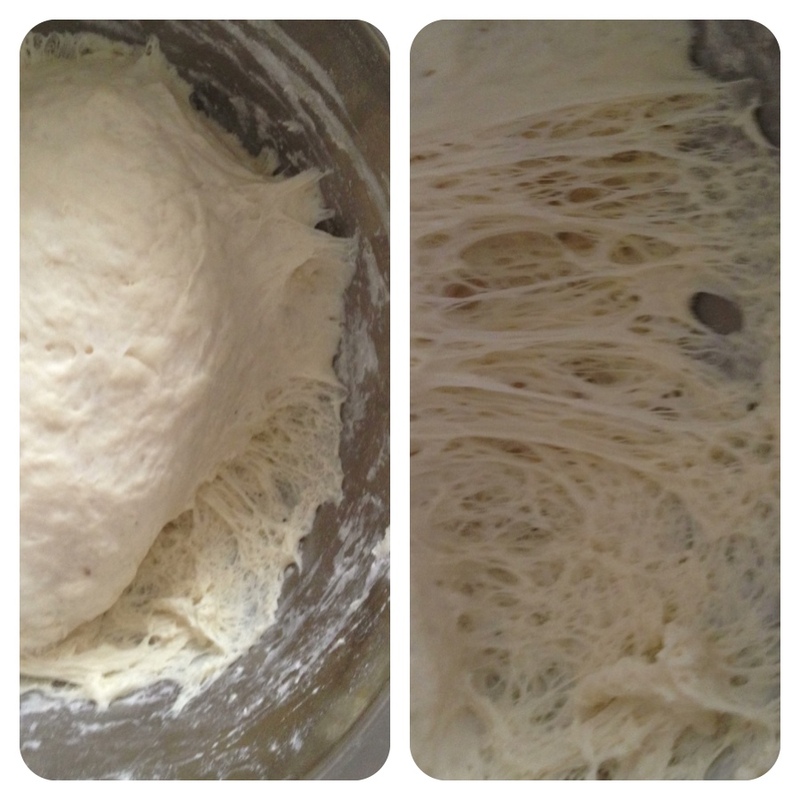 I usually plop the dough in a bowl and leave it to rise for an hour or so, until doubled in size. Then I punch the dough down and wait for another hour or so, before shaping the loaves. 過了一個小時以後，再把麵團揉一次， 然後形成你想要的形狀。 我這次想吃圓滾滾的鄉村麵包！ This time, I wanted some round loaves, so I divided the dough into two round loaves and left them to rise for another half an hour so, before popping them into the oven, at 350 C / 180 C for 45 minutes. 因為這次烤的是白麵包， 所以其實可以配很多不同的東西 我喜歡 butter, 或是 butter and honey, 或是 jam. 也可以做很好吃的sandwiches. The best part is finally here! I can’t usually wait until the loaves are completely cool before cutting a slice. I love still-warm -from -the- oven- bread slathered with butter and dripping with honey, or topped with some lovely strawberry jam. If I’m fortunate to have a few slices leftover, I usually make sandwiches or serve them toasted as an accompaniment to a hearty soup. I hope you will find bread baking to be as soothing as I do. Instead of (just) worrying about whether the neighbor’s potted plants will come crashing onto your balcony, or if your other neighbor’s (ugly) unkempt palm tree will (finally) meet its demise, get out your mixing bowl and bake! Stay safe and Bon Appétit! 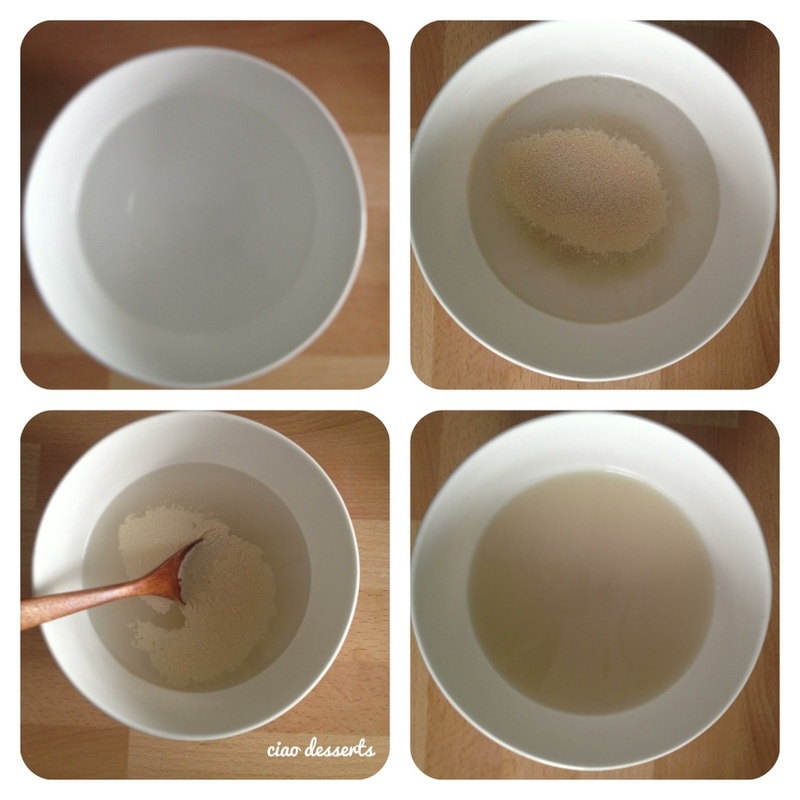 Mix the sugar with the warm water until dissolved. Add the yeast, and stir again, until dissolved. Combine the salt with most of the flour – leave out about 6 ounces or so. Mix the water into 1 pound of the salted flour until well combined. Mix well to start incorporating air. This step will assist in the final rise you will get. Add the rest of the salted flour, and mix again until the flour is incorporated. At this point, turn out the dough if you’re doing it by hand. 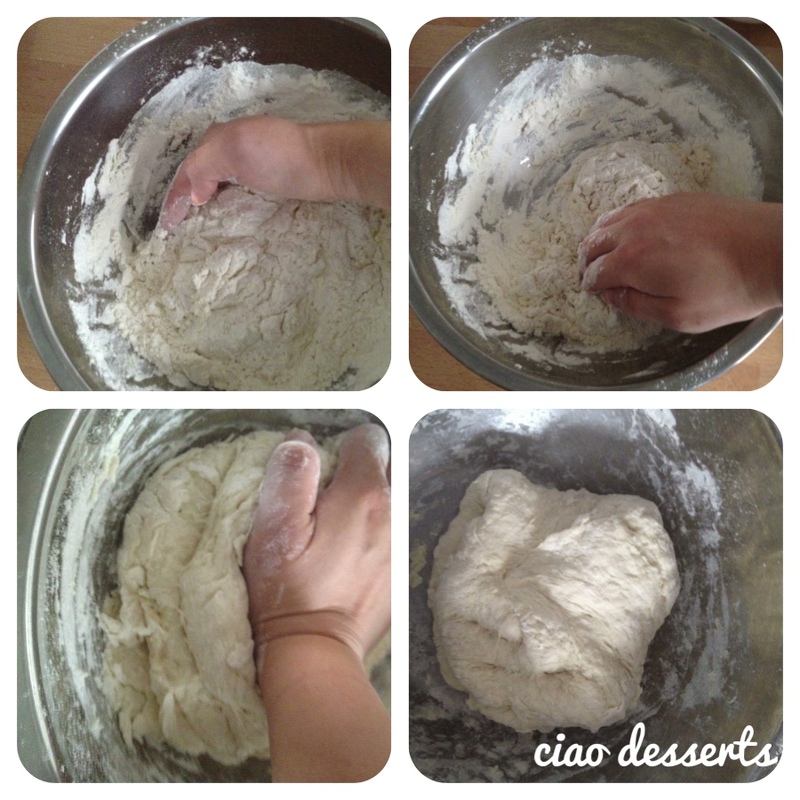 Knead in as much of the remaining flour as is necessary to achieve a smooth, non-sticky, not to wet or dry dough. Knead by hand or with the dough hook until the dough is very smooth and elastic and passes the windowpane test. Shape your dough into a smooth ball and let it rest, covered, in a warm place in a greased bowl until it has doubled in bulk. 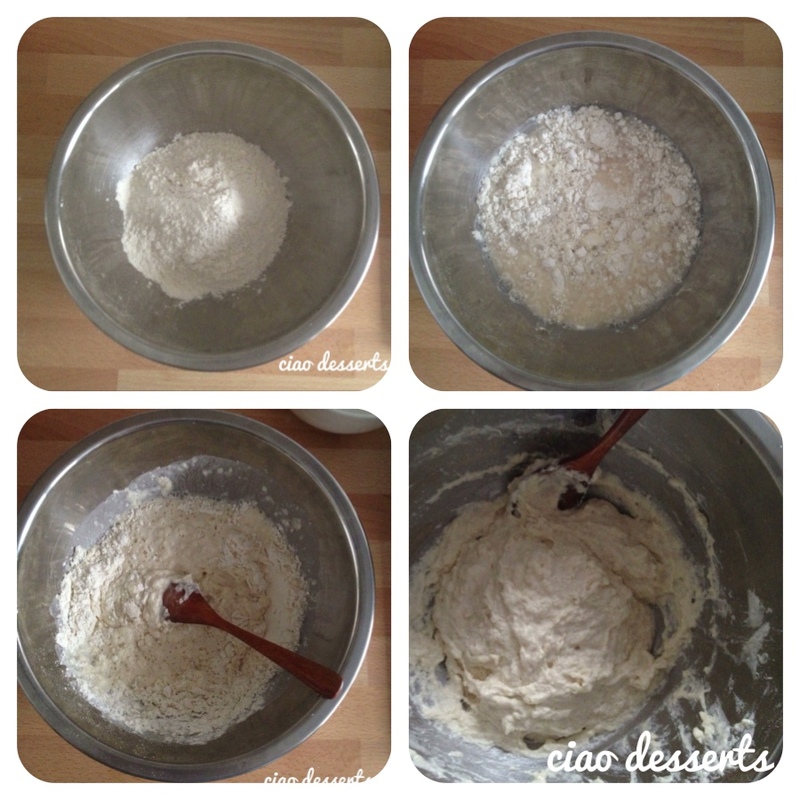 (Turn the dough in the bowl so all sides are greased, and let it rise smooth side up). When you poke your finger into the side of the dough and the dough doesn’t spring back at all, you’ll know you’re there. How long it will take depends on the temperature of the room, the temperature of the dough, the barometric pressure outside – lots of factors. A reasonable rule of thumb is give or take about 1 1/2 hours. You can do this step on the countertop or in any draft-free place. 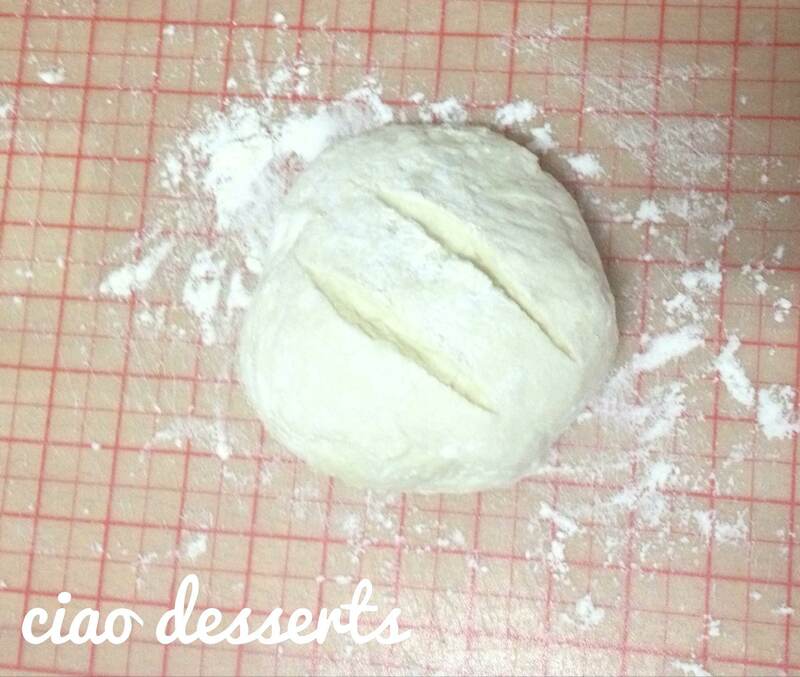 Now, roll the dough out of the bowl onto a surface very lightly dusted with flour and press out all the gasses. 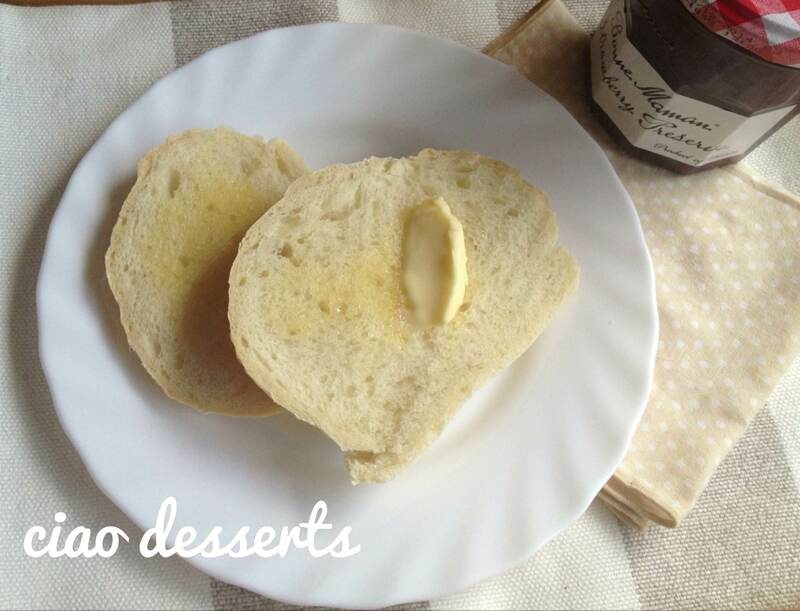 Now, decide whether you are making one jumbo loaf, two loaves (either in pans or just rounds) or rolls. 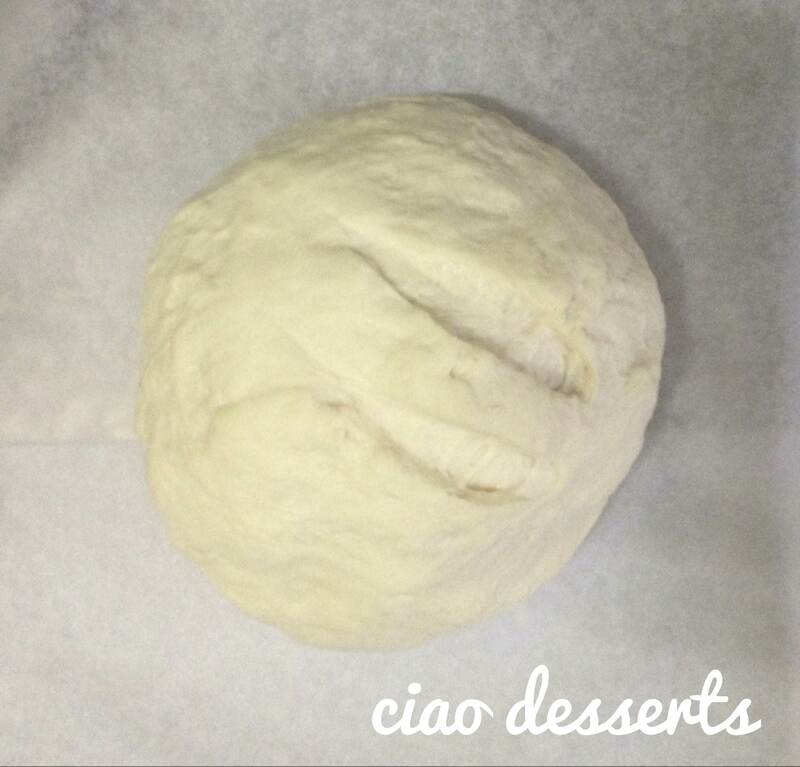 Divide the dough accordingly, or leave it in one piece. Form each piece (again, it’s up to you how many) into a round, cover with a clean, lint free towel or even some plastic wrap, and let rest for a few minutes. 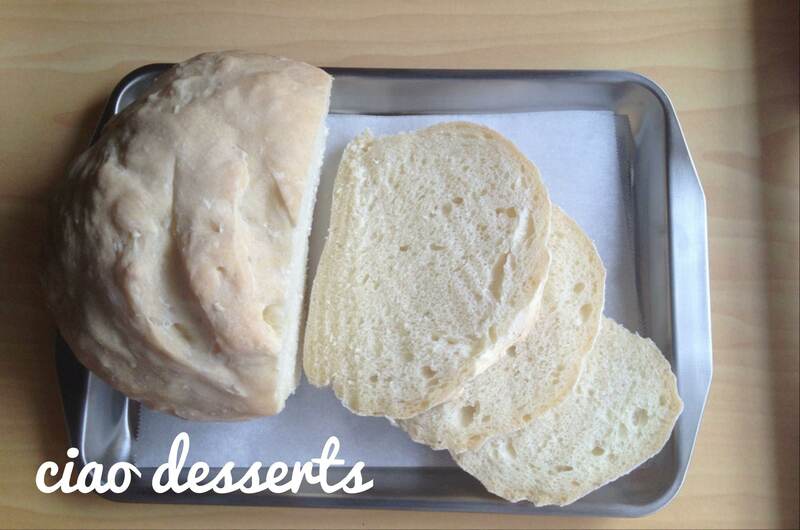 Put your rolls or loaves on or in whatever you’ll use to bake them – baking stone, cookie sheet, loaf pan. Cover them with a clean, lint free towel or a piece of plastic wrap and let them double again. Since the yeast have been happily multiplying in your dough all this time, it will take about half the time it took during the fermentation period. Preheat your oven during the proofing time to 375 degrees, F.
When you’re ready to bake, if you want to, you can slash the tops of your loaves with a very sharp knife. This is generally done for appearances, and help to keep the crust from stretching and tearing in the oven. Your bread is done when it is a lovely golden brown color, when it sounds hollow when you tap it on the bottom, and when the internal temperature has reached 200-210 degrees, F. This could take as little as 10-15 minutes for small rolls and upwards of half an hour for large loaves. When you can smell the bread and it is starting to look done, start checking. Once the bread is out of the oven, let it cool on a rack – if you have panned the bread, take it out of the pan to avoid having a soggy loaf. Cool to room temperature, then store in a paper bag at room temperature. 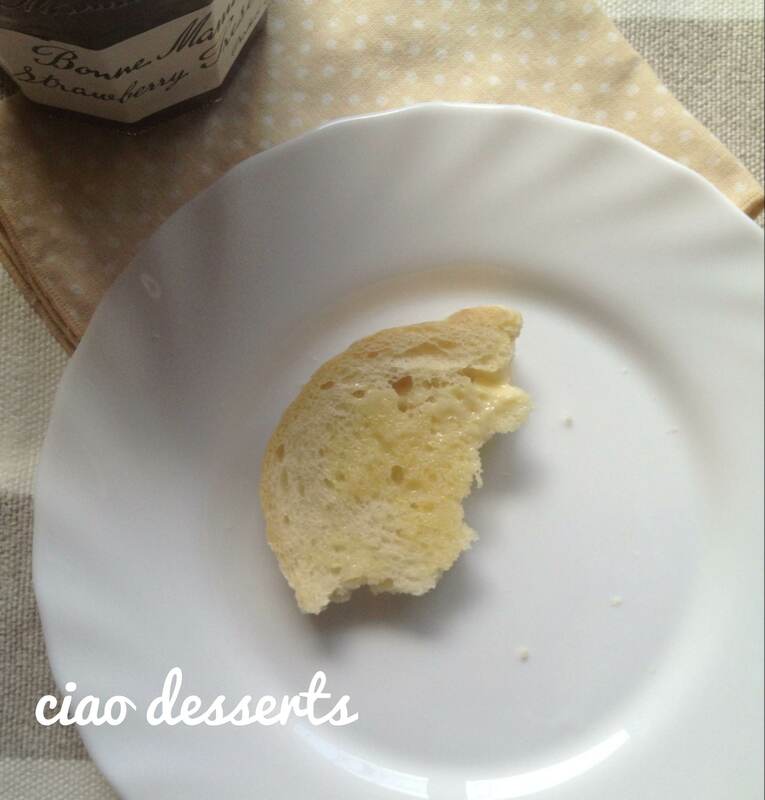 Since this bread contains no preservatives, keeping it around for more than a day can be an issue. If you know you won’t plow through all of it in a day, slice the loaves once they are cool, and store them in freezer bags in the freezer. That way, you can pop out a piece or two to make a sandwich. It defrosts in no time. Thanks, I’ll have to bookmark this link for a rainy day (luckily we don’t have typhoons here in Germany)! You have/had an oven in your apartment/house? Aren’t ovens quite rare in Asian homes? But truth be told, I still prefer just a regular oven. The other ones seem a bit too complicated for me!